Spanish Cove, located on Senter Road near Curtner Avenue in San Jose, was opened in 1970. Over the years, almost half of the mobilehomes in this all-ages park have been replaced by new, modern ones that feature contemporary kitchens, cathedral ceilings and many other amenities unheard of in the older models. Each home site on the entrance street of this 305-space community features attractive front yard lawns that are maintained by park management. 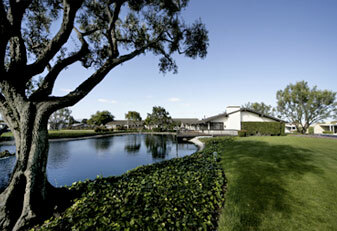 The clubhouse is designed in a Spanish hacienda style complete with stucco walls and a red-tile roof. Mature olive trees in the lush lawns surrounding the clubhouse further enhance the early California style. The clubhouse contains a large meeting hall complete with ping-pong tables, kitchen, billiard room, a living room with a library and large screen TV set, saunas and laundry facilities. Outside are a swimming pool and spa, as well as a professionally designed playground for the children.